It's time to fly your Dji Mavic pro-drone again. So you then head over to where you last left it only to realize that you forgot to charge your batteries. Well, there goes a few hours of waiting. I really love my Mavic-pro, but the factory charger that came with it is a huge bottleneck if you need to charge more than one battery. Dji's Mavic solution to this issue is their Pro Battery Charging Hub (Advanced). It can charge four batteries, but it has a huge caveat. It only charges one battery at a time sequentially. Which is pretty much a waste of time. Faced with this frustrating issue I did what everyone does nowadays, a quick google search and came across the Yx fast charger for the Dji Mavic Pro. 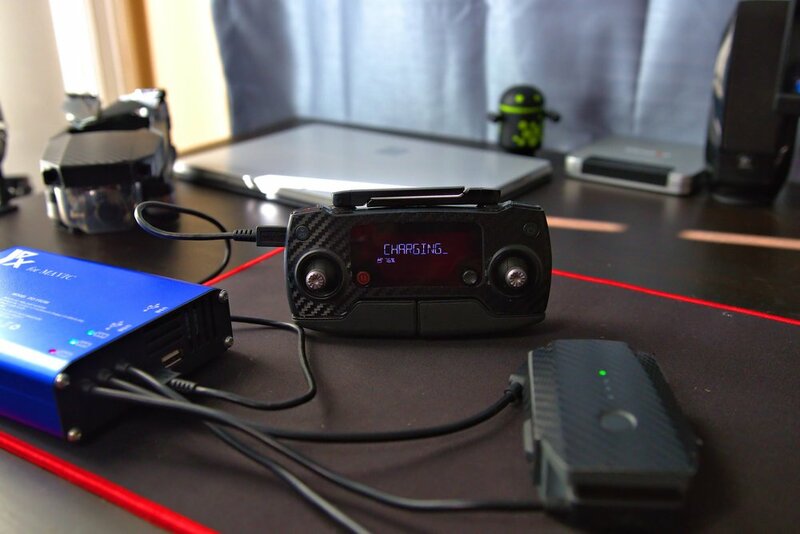 Unlike Dji's Mavic Pro Battery Charging Hub (Advanced), the Yx Mavic Pro fast charger can charge three Mavic batteries, remote controller, and a smartphone simultaneously. Yx Mavic Pro fast charger boasts an intelligent charging safety system, which fully protects the charger from overcharge, over voltage, over temperature and short circuit. It has a red light that indicates charging and will show a green light when your batteries are fully charged. The build quality is excellent. It's made of premium aluminum alloy with a sturdy outer housing, that is fire-proof and heat-resistant for fast heat dissipation. The built fan aids in cooling and reduces internal temperatures inside of the unit which will prevent high temperatures during charging. The price of the Yx Mavic Pro fast charger is only $39.99, so you really can't go wrong with such an affordable price. My only con with the Yx Mavic Pro fast charger is the unit doesn't have an on/off switch. I've been using my Yx Mavic Pro fast charger for over 4 months with no issues and I highly recommend it.